This is possibly one of the most daunting tasks for a DIY enthusiast and one which can reveal a whole number of surprises. While it may make sense to think about stripping the walls yourself of any wallpaper, the skills of a professional decorator can often save you a lot of time and heartache. Firstly you need to decide what you want to do once the wallpaper has been stripped off. Do you want to repaper the walls or are you thinking of paining them with emulsion paint? The reason you should establish this is because of the nature of some more modern wallpapers. Believe it or not, you can strip a room of all its wallpaper in under an hour if you know what you are doing. This is because certain wallpapers today, especially patterned ones, are attached to backing paper. By this we mean that when you hang the wallpaper, it is simply a thin layer of backing paper that is stuck to the wall. 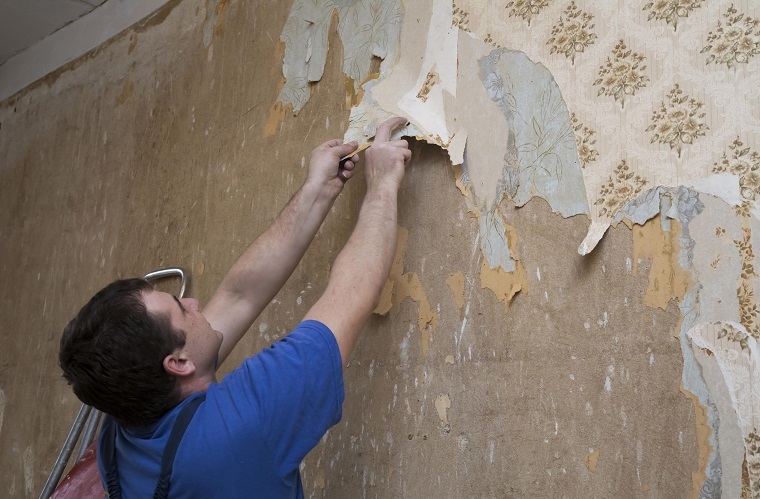 As a consequence, when you want to remove the wallpaper, you can carefully lift an edge at the bottom and gently peel the whole run of the patterned element off the wall, leaving the backing paper behind. From here you have three options. If the backing paper is relatively flat, you can consider painting it without removing it. Secondly you can rehang new wallpaper over the old backing paper, or finally you can remove the backing paper. 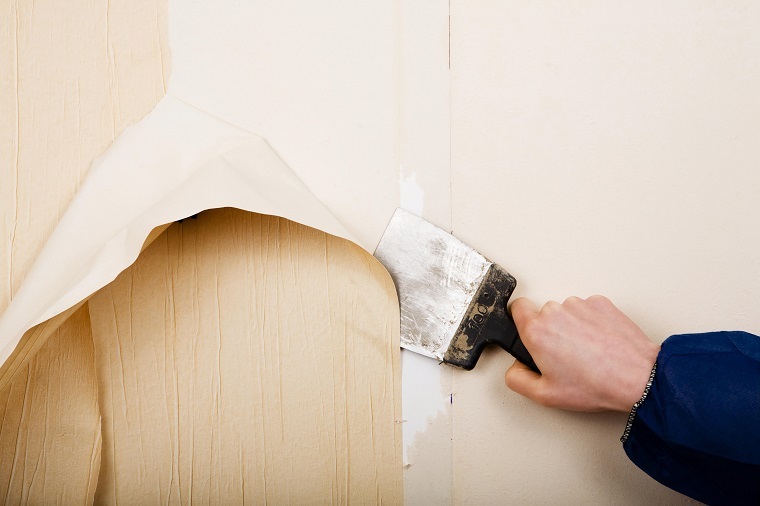 Now if you want to remove the backing paper, or any one piece wallpaper, the important thing is to try and remove it in large pieces rather than just scraping off small bits at a time. If you scrape off wallpaper in small pieces the chances are you will damage the surface of the wall at the same time. So, the first step is to ensure the floor is covered with a dustsheet that will absorb any splashes of water. The next step is to hire or buy a steam wallpaper stripper. This basically covers the surface of the wallpaper with jets of steam which are absorbed by the paper and make it easier for you to remove it with a wide blade. However this does require a lot of patience as some wallpapers, especially anaglypta, are often painted, which makes it tougher to absorb water and lift off the walls. If you are not careful you can end up with a wall still covered with small chunks of wallpaper and a carpet ruined because too much water ran down the walls and over the skirting board onto the carpet. It would do no harm to get quotes by using the simple form on this site just to see how much the cost of saving you a lot of hassle will be.